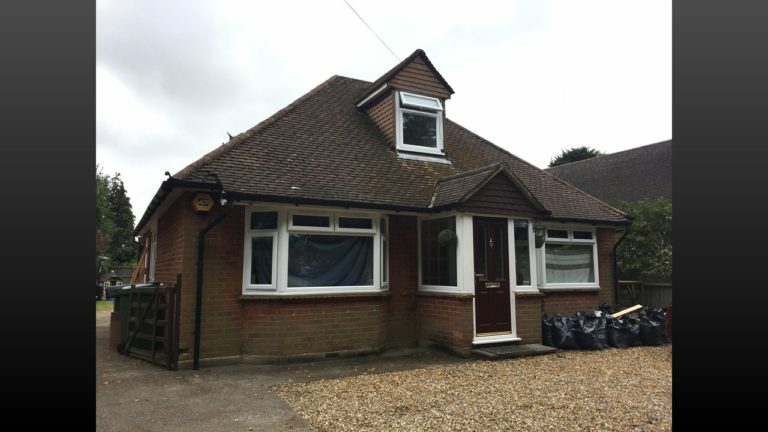 DMP have successfully secured granted planning permission from Surrey Health Borough Council for the reconfiguration of a bungalow to provide a two storey house in Frimley Green. This popular suburban village Frimley Green which is located in the beautiful county of Surrey has a unique range of historic buildings. The site comprises of a detached dormer bungalow dwelling on the south-western side of The Green, Frimley. To one side of the property is a church hall and to the other a detached two storey property with the village green opposite and village shops. The immediate buildings have traditional architectural styles and external materials. In addition, DMP carefully considered the local architectural styles and promoted high quality design to respect and enhance the local environment. Specifically, paying particular regard to scale, materials, massing, bulk and density. 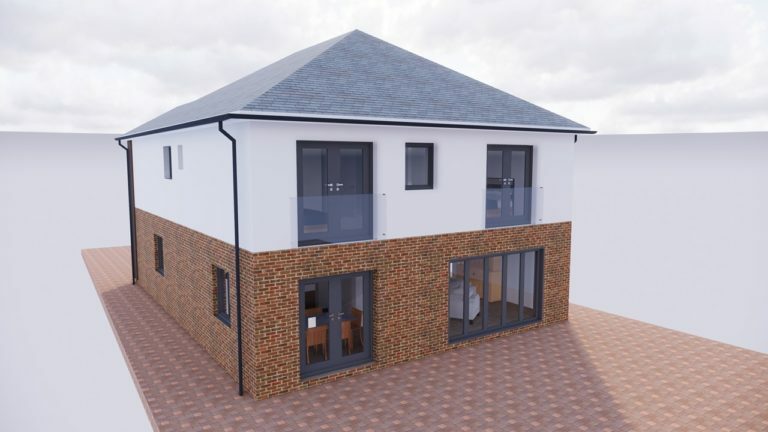 The reconfigured two storey dwelling is visible from the street scene and involves an eave height increase of 2.9 metres. This increase is considered acceptable as the property is set away from each boundary by 1.3 metres, thus avoiding a cramped appearance. Furthermore, a mixture of brick and cladding materials in the street scene were acceptable. Standing seam cladding on the front gable and the aluminium windows are too contemporary in appearance in the street scene. 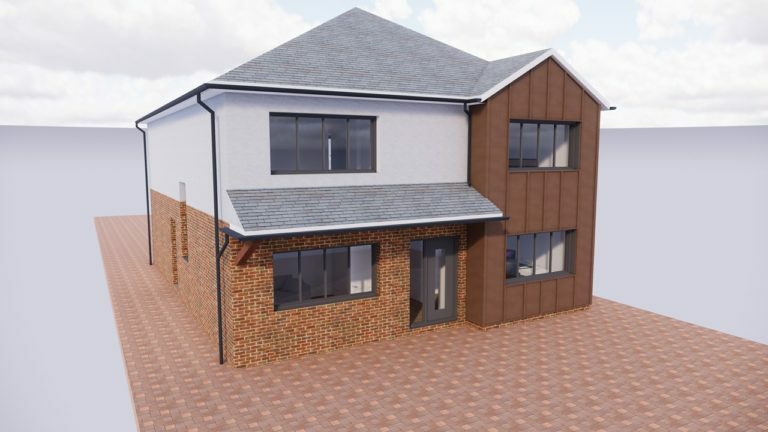 However, given that they will be contained within a traditional hipped pitch roof it is considered that no adverse impact upon the street scene would arise. 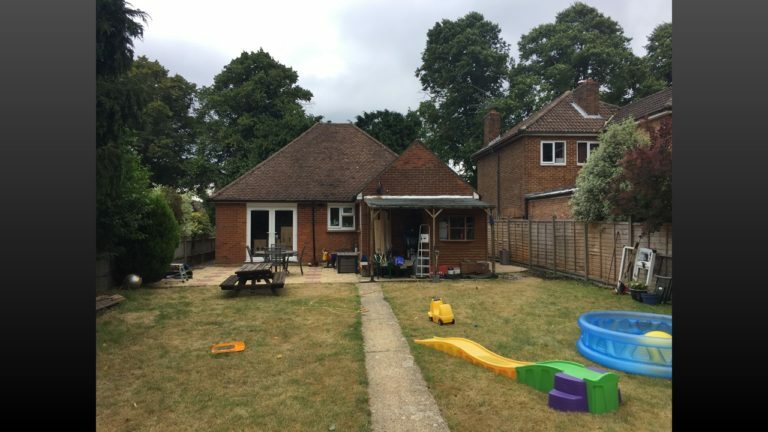 In conclusion the planning officer proposed scheme would not be harmful to the adjoining properties and the proposal met amenity requirements of Surrey Health Core Strategy and Residential Design Guide. Contact us to discuss your Planning & Development requirements. Our experienced team are ready to assist. Read about our interesting projects taken from around London and the South. Or, catch up with our industry & project news!